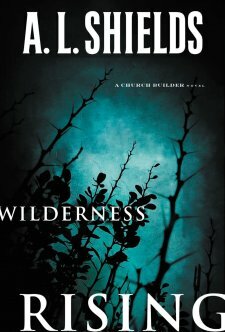 Wilderness Rising is the sequel to The Church Builder; and it is important to read these books in order as there are many characters who build on each other that it would be difficult to keep track of everyone, even though the mysteries are otherwise separate and could stand alone. In this one, the quick-witted and resourceful heroine, Bethany Barclay, is on the run in Europe, searching for an ancient religious relic that may or may not exist, and also to the answers of a mystery left behind by her deceased friend Annabelle, who was previously murdered due to her risky involvement and knowledge with these dangerous people and circumstances. The stakes are high as Bethany must rescue her kidnapped friend, Janice, as well as keep herself alive. Meanwhile, it is hard to sort out the ‘good’ guys from the ‘bad’ guys as everyone seems to have an agenda, secrets, and hidden motivations. These are fun books: fast paced, suspenseful, realistic, mysterious, and action-packed, with intriguing characters. Bethany is a strong and very lovable female protagonist, and I enjoyed the character of her brilliant and quirky hacker friend, Janice, even more. There are hints of a budding romance between two of the characters that could have been developed more for a stronger emotional side to the narrative; but the action, suspense, and deeper meanings embedded into the conflict are right on point, making this a very enjoyable read.